We are capable of meeting the stringent requirements of API standards required by the oil and gas industry. We also offer on-site straightening presses, sawing capacity, mechanical testing and hardness testing to fit your exact requirements. Our plant is qualified to meet your most demanding process specifications and requirements. Our furnaces are capable of performing austenitizing, quenching and tempering of material to increase the hardness and strength of the material. A specialized heat treatment that alters the microstructure of a material by austenitizing and slow cooling used to homogenize material along with reducing hardness and making the material more workable. Designed to improve the hardness and strength of steel and iron, our plant is equipped with water and polymer quenching capabilities for long bar, tube and plates. With advanced equipment and procedures, our skilled technicians use Rockwell and Brinell testing to determine product hardness and durability. A heat treatment process designed to relieve residual stress in metal and metal components. A high temperature heat treatment that is performed to homogenize and improve the mechanical properties of material. 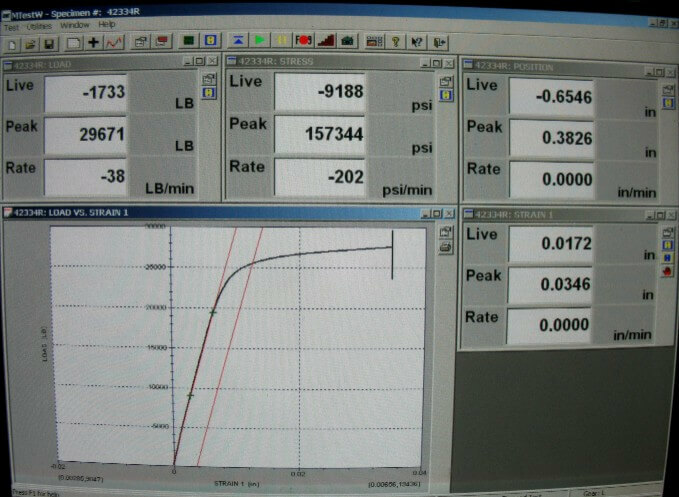 A process used to increase the tensile and yield strength of materials including PH stainless steel, nickel-based alloys and aluminum alloys. Our facility provides state-of-the-art equipment used to properly stabilize metal components. In our advanced testing lab, materials may be tested for mechanical properties such as tensile strength, yield strength, elongation, reduction of area, charpy impact toughness, and hardness..
Our skilled technicians use precise optical microscopy equipment for metallurgical evaluations with digital imaging capabilities. Our experienced technicians can straighten long lengths of bar, tubing, and shafts. A process used to clean and remove scale, contamination and corrosion from the surface of metal parts. 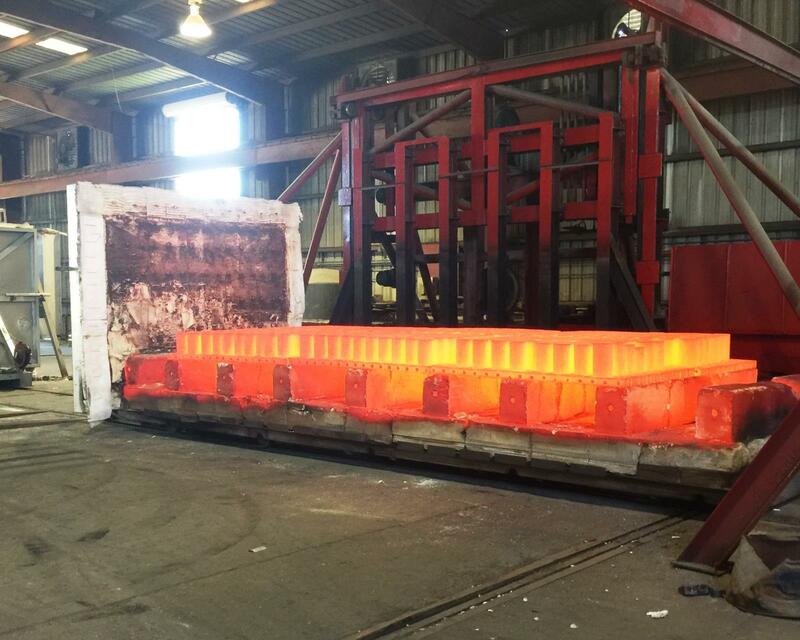 Our facility is fully equipped with furnaces needed to properly retemper any metal component that was previously mill hardened to mechanical properties that don’t match the required final properties desired by an end user of the steel. All work will be processed with equipment, meeting customer specifications with no deviation unless approved by the customer. 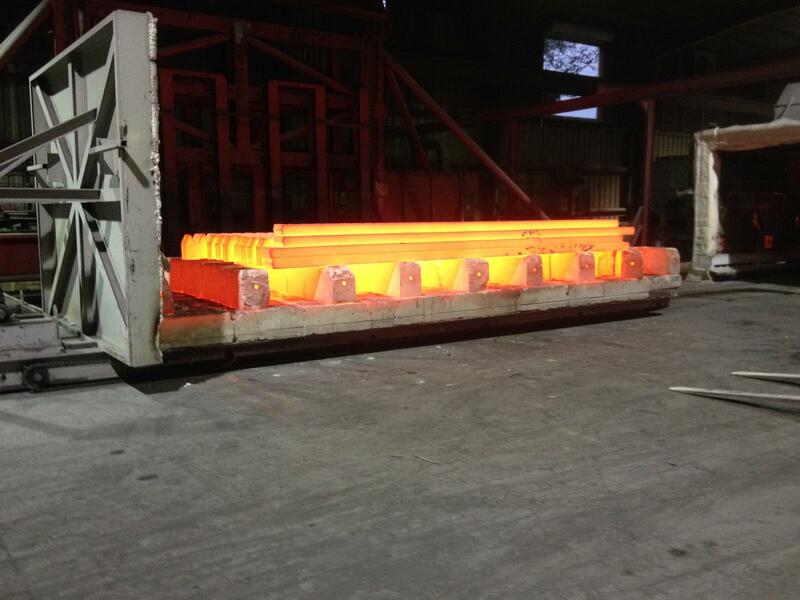 Customer requirements for heat treating will be strictly conformed to. No deviation from any written procedures will be allowed without prior approval of Southwest Heat Treat and the customer. A list of Quality Control Manuals will be maintained for customers if a written request is made. All latest applicable customer specifications will be kept on file and will be available for reference. Customer drawings will be maintained for reference while the work is being processed. If required, it will be returned to the customer with the shipment of the work. If they are not required, drawings will be retained in the customer's file. Southwest Heat Treat will comply with all customer material specification requirements and SPPE-1 Quality Control specifications. Southwest Heat Treat grants You a limited, personal, nontransferable, nonsublicensable, revocable license to access and use only the Web Site, Content and Services only in the manner present by Southwest Heat Treat only in the manner expressly permitted by Southwest Heat Treat. Except for this limited license, Southwest Heat Treat does not convey any interest in or to the Content, Services, Web Site or any other Southwest Heat Treat property by permitting You to access the Web Site. Except to the extent required by law or as expressly provided herein, none of the Content may be reverse-engineered, modified, reproduced, republished, translated into any language or computer language, re-transmitted in any form or by any means, resold or redistributed without the prior written consent of Southwest Heat Treat. You may not make, sell, offer for sale, modify, reproduce, display, publicly perform, import, distribute, retransmit or otherwise use the Content in any way, unless expressly permitted to do so by Southwest Heat Treat. (b) You will not use or access any service, information, application or software available via the Web Site in a manner not expressly permitted by Southwest Heat Treat. (d) Certain areas of the Web Site may be restricted to customers of Southwest Heat Treat. (e) You may not use or access the Web Site or Services in any way that, in Southwest Heat Treat’s judgment, adversely affects the performance or function of the Services or the Web Site or interferes with the ability of authorized parties to access the Services or the Web Site. (f) You may not frame or utilize framing techniques to enclose any portion or aspect of the Content or the Information, without the express written consent of Southwest Heat Treat. (b) Inbound Links. Linking to any page of the Web Site other than to http://www.swheattreat.com through a plain text link is strictly prohibited in the absence of a separate linking agreement with Southwest Heat Treat. Any web site or other device that links to http://www.swheattreat.com or any page available therein is prohibited from (a) replicating Content, (b) using a browser or border environment around the Content, (c )implying in any fashion that Southwest Heat Treat or any of its affiliates are endorsing it or its products, (d) misrepresenting any state of facts, including its relationship with Southwest Heat Treat or any of its affiliates, (e) presenting false information about Southwest Heat Treat products or services, and (f) using any logo or mark of Southwest Heat Treat or any of its affiliates without express written permission from Southwest Heat Treat. You agree that Southwest Heat Treat, in its sole discretion, may terminate or suspend Your use of the Web Site, the Services and Content at any time and for any or no reason in its sole discretion, even if access and use continues to be allowed to others. Upon such suspension or termination, You must immediately (a) discontinue use of the Web Site, and (b) destroy any copies You have made of any portion of the Content. Accessing the Web Site or Services after such termination, suspension or discontinuation shall constitute an act of trespass. 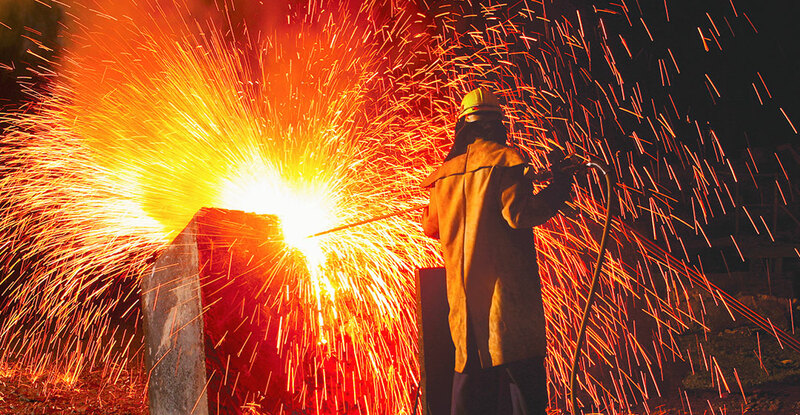 Further, You agree that Southwest Heat Treat shall not be liable to You or any third party for any termination or suspension of Your access to the Web Site and/or the Services. 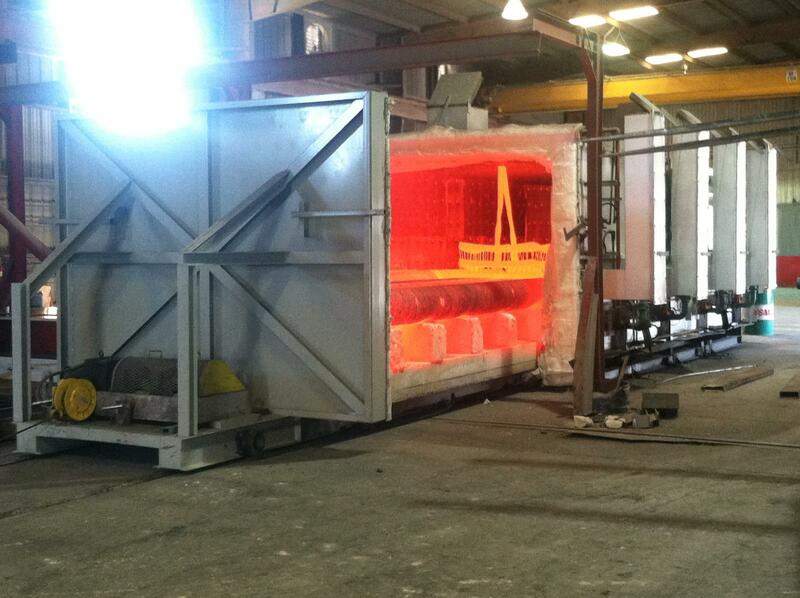 SOUTHWEST HEAT TREAT MAKES NO REPRESENTATIONS ABOUT THE RESULTS TO BE OBTAINED FROM USING THE WEB SITE OR THE CONTENT. THE USE OF SAME IS AT YOUR OWN RISK. You agree to use the Web Site in strict compliance with all applicable laws, rulings and regulations and in a fashion that does not, in the sole judgment of Southwest Heat Treat, negatively reflect on the goodwill or reputation of Southwest Heat Treat and shall take no action which would cause Southwest Heat Treat to be in violation of any laws, rulings or regulations applicable to Southwest Heat Treat. These Terms and Conditions are to be governed by and construed in accordance with the law of the State of New York without reference to its conflicts of law rules. You agree that any action at law or in equity arising out of or relating to these terms shall be filed only in the state or federal courts located in the New York County in the State of New York. “Services” means the thermal processing and/or other services performed by Southwest Heat Treat (“SWHT”) to the customer ordering or requesting such Services (the “Customer”). “Goods” means any products of Customer upon which SWHT has performed or will perform the Services in accordance with the terms of an Order. An “Order” means any oral or written request or order for Services, including any formal purchase order submitted by a Customer. SWHT shall issue an order number upon acceptance of an Order, and such number must appear on all invoices, packages, shipping documents or any other documents pertaining to Goods upon which Services are to be performed. Customer shall notify SWHT immediately if Customer is unable to meet any of the requirements set forth in the Order, including delivery terms. Each accepted Order shall be invoiced separately, and Customer shall pay for each shipment as invoiced in accordance with Section 6 below. Delivery, Shipping and Risk of Loss. (a) All specified delivery dates are estimated, and such delivery of Goods by SWHT is contingent upon prompt receipt by SWHT of (i) the Order, (ii) complete and detailed current specifications (including any prints or drawings) satisfactory for production of the Order, (iii) the Goods upon which the Services are to be performed, (iv) all other information necessary to permit SWHT to proceed with work immediately and without interruption, and (v) satisfactory assurance of compliance with the agreed terms of payment. (b) Unless SWHT has quoted pricing and terms for delivery, pick-up and trucking, all Goods are shipped F.O.B. SWHT’s location. Risk of loss of any Goods in transit shall pass upon delivery to the F.O.B. point. The party undertaking risk of loss is solely responsible for all shipping and delivery charges and shall maintain adequate insurance with reputable carriers covering the replacement value of such Goods in transit. Customer shall inspect any and all Goods processed by SWHT promptly upon receipt thereof and shall promptly notify SWHT of any objections to the Goods or the Services performed by SWHT not later than three (3) working days after Customer’s receipt of such Goods. If Customer does not notify SWHT of its objection within such time period, or Customer refuses to inspect or otherwise fails to inspect the Goods upon receipt, Customer shall be deemed to have accepted the Goods and the Services as conforming to specification and otherwise meeting the requirements of the applicable Order. (a) No order accepted by SWHT may be changed or cancelled by Customer (in whole or in part) unless SWHT agrees to such change or cancellation in writing or such cancellation is due to breach by SWHT. Accepted changes to an Order may result in a delay in the scheduled delivery date and/or a change in price. Any change in price or delivery will be as agreed to by Customer and SWHT. (b) Upon any cancellation (in whole or in part) including any cancellation for breach, Customer shall pay all costs and expenses (including overhead and administrative expenses) incurred by SWHT on the Order up to the effective date of cancellation. Prices are as quoted by SWHT and are subject to change upon notice to Customer. Payment terms are net thirty (30) days following the date of invoice unless otherwise agreed by the parties. A service charge of 1.5% per month will be charged on past due invoices. If Customer’s account remains past due for more than sixty (60) days following the date of invoice such past due account shall be subject to collection. Accounts subject to collection will be referred to an attorney and Customer agrees to pay all costs and expenses of such collection, including reasonable attorney’s fees, in connection with such collection. SWHT reserves the right, without any liability whatsoever to Customer or any other person or entity, to suspend performance, refuse to accept additional releases or orders, stop delivery of Goods in transit, decline to deliver except for cash, require payment prior to shipment, and/or restrict or modify payment terms whenever Customer’s account is delinquent or if, in SWHT’s sole discretion, SWHT has reason to doubt Customer’s solvency, financial condition or ability to pay. SWHT will not be liable for its failure to perform hereunder due to any cause or event beyond its reasonable control, including without limitation, acts of God, acts of terrorism, fire, flood, inability to obtain material at reasonable prices, volatility of utility costs, equipment or transportation, governmental laws or regulation, accidents, labor disputes, strikes, lockouts or shortages, or other similar matters. In the event of a force majeure event, SWHT will notify Customer and will attempt to minimize the duration of any impact on its ability to perform under an Order due to such force majeure event. (a) Given the uncertainties and hazards inherent in all thermal processes, Customer acknowledges and accepts that SWHT’s liability with respect to any Order shall be limited in the manner provided for in the Metal Treating Institute’s Limits of Liability (the “MTI Limits”) which have been adopted by SWHT and which are incorporated by reference herein. A copy of the MTI Limits is available for review below. Customer acknowledges that it has read the MTI Limits, is familiar with the contents of such provisions, and agrees to such terms and the application of all such provisions to all Services performed by SWHT, whether such work is performed now or in the future. In the event that SWHT prevails in any legal action brought by or on behalf of Customer against SWHT, Customer shall pay all fees, expenses and costs of SWHT incurred as a result of such legal action, including its legal, professional, court and other fees and expenses. (b) Customer shall defend, indemnify and hold SWHT harmless from any and all third party claims brought against SWHT relating in any way to the manufacturing, sale, processing, distribution or use of the Goods or the performance of the Services if the Goods have been subjected to previous or further processing, assembly or work following performance of the Services by SWHT. (a) Governing Law; Venue. This contract has been made in, and will be construed and enforced in accordance with the laws of, the State of New York without regard to its principles of conflicts of laws. Customer and SWHT consent to the exclusive jurisdiction of the state and federal courts sitting in New York County, New York for any actions, suits or other proceedings arising out of, or related to, the enforcement of either party’s rights hereunder. SWHT and Customer agree not to commence any action suit or proceeding in any other court and hereby irrevocably and unconditionally waive any objection to the laying of venue in any such court. The Uniform Commercial Code expressly does not apply to any Order, Offer to Sell or any Services sold hereunder. (b) Additional Agreed Terms, Entire Agreement, Acceptance, Modification. Any additional, Order-specific terms (“Additional Terms”) shall be agreed between SWHT and Customer and shall be set forth upon the applicable Order documentation. To the extent such Additional Terms conflict with the Terms and Conditions, the Additional Terms shall control. Unless otherwise agreed to in writing by SWHT, the Terms and Conditions (including, if applicable, any Additional Terms) and the terms of any of SWHT’s standard forms executed in connection with a particular Order constitute SWHT’s entire offer to sell the Services to the Customer (“Offer to Sell”), constitute the entire agreement between SWHT and the Customer with respect to the subject matter thereof, and supersede all prior or contemporaneous communications and agreements. The Terms and Conditions (including, if applicable, any Additional Terms) shall apply to all Orders received from Customer. Customer’s acceptance of SWHT’s Offer to Sell and SWHT’s performance of the Order (in whole or in part) are expressly limited to, and conditioned upon, Customer’s acceptance of the Offer to Sell, which may not be changed or waived except in a writing signed by both parties. Without limitation on the foregoing, SWHT’s performance of an Order shall not be considered acceptance of any counter-offer or terms provided by Customer and SWHT will not be bound by, hereby objects to, and rejects, any additional provision or any provision at variance with these Terms and Conditions or any other part of SWHT’s Offer to Sell that may appear in Customer’s purchase order, standard terms and conditions, acknowledgments, form agreements, notices or in any other document or communication from Customer to SWHT, or any updates or amendments thereto. These Terms and Conditions may only be modified by a writing signed by the President and Chief Executive Officer or Chief Operating Officer of SWHT. (c) Survival. The provisions of Sections 7 and 8 and this Section 9 will survive the expiration or termination of this contract. (d) Severability. In case any one or more of the provisions or parts of a provision contained herein are, for any reason, held to be invalid or illegal, such invalidity, illegality or unenforceability will not affect any other provision or part of a provision hereof, but these Terms and Conditions (including, if applicable, any Additional Terms) will be reformed and construed as if such invalid or illegal or unenforceable provision or part of a provision had never been contained herein and such provision or part will be reformed so that it is valid, legal and enforceable while retaining, to the maximum extent permitted, as much as possible of the original intent of the provision. (e) Independent Contractors. Customer and SWHT are independent contracting parties and nothing in the Order or SWHT’s Offer to Sell shall make either party the employee, partner, joint venturer, agent or legal representative of the other for any purpose. Neither the Order, nor the Offer to Sell, grants either party any authority to assume or to create any obligation on behalf of or in the name of the other. Each party understands that the other manufactures products or performs services for sale to a wide variety of customers and that nothing in these Terms and Conditions (including, if applicable, any Additional Terms) precludes either party from selling its products to customers or competitors of the other. The buyer of metal treating services from the seller, understands that even after employing all the scientific methods known to the seller, hazards still remain in metal treating. The buyer therefore agrees that seller’s liability shall not exceed twice the amount of the charges for the work done on any material. The buyer agrees and understands that this limitation of liability is not an exculpatory clause. The reimbursement and full liability of the seller shall not exceed twice the amount of the charges for the work done by the seller on any material. This is intended to reimburse the buyer for the charges and to fully compensate the buyer in the amount of the charges. This term applies to all work done by the seller except where otherwise agreed to in a written agreement signed by an authorized representative of the seller. The buyer, by contracting for metal treatment, agrees to accept the limits of liability as expressed in this statement to the exclusion of any and all other provisions as to liability that may be set forth in the buyer’s own invoices, purchase orders or other documents. If the buyer proposes a different or additional liability provision, the same must be agreed to in writing and signed by an officer of the seller before work is started or services are provided. In such event, the buyer understands that a different charge for services must be agreed on, reflecting the higher risk to the seller and that no work will be started until both the seller and the buyer have signed an agreement setting forth the new charges and terms of liability. Otherwise, the terms set forth herein are binding on the buyer. It is agreed by the buyer and the seller that the inability to discover a defect within a reasonable period of time after the receipt of a shipment of heat treated material, not to exceed five (5) business days, will not void the limitation of liability contained in this agreement. It is the buyer’s obligation to notify the seller if it does not agree to the limitation of liability contained herein and a failure on the part of the buyer to do so in writing before work starts will be deemed acceptance of this limitation of liability. The seller’s liability to the buyer shall cease once any further processing, assembling or any other work has been undertaken by the buyer or any third party. No claims for shortage in weight or count will be entertained unless presented in writing within five (5) business days after receipt of materials by the Buyer. No claims will be allowed for shrinkage, expansion, deformity, or rupture of material in treating or straightening, except by prior written agreement, as above, nor in any case for rupture caused by or occurring during subsequent grinding. Whenever the Seller is given material with detailed instructions as to treatment, the Seller’s responsibility shall end with the execution and completion of those instructions. Failure by the Buyer to indicate plainly and correctly the kind of material (i.e., proper alloy designation) to be treated, shall cause an extra charge to be made to cover any additional expense incurred as a result thereof, but shall not change the LIMITATION OF LIABILITY stated above. When the Buyer provides specifications for the heat treating service to be provided, makes changes in the kind of materials (i.e. proper alloy designation) to be treated, or changes the process to be used, the Buyer specifically understands and agrees that this LIMITATION OF LIABILITY shall remain in effect, but that additional charges for services will be due and owing to cover the additional expense incurred as a result of changes made by the Buyer. The Seller’s services and work are expressly limited to the terms and conditions contained on the face and back of the Seller’s quotation, purchase order, sale acknowledgement or other forms. Any different or additional terms contained in any of the Buyer’s forms are hereby deemed to be a material alteration and notice of objection to them is hereby given. Copyright 2011 © Metal Treating Institute. All Rights Reserved.